Aaron Ross Schobel (/? ?o?b?l/; born September 1, 1977) is a former American football defensive end in the National Football League (NFL). 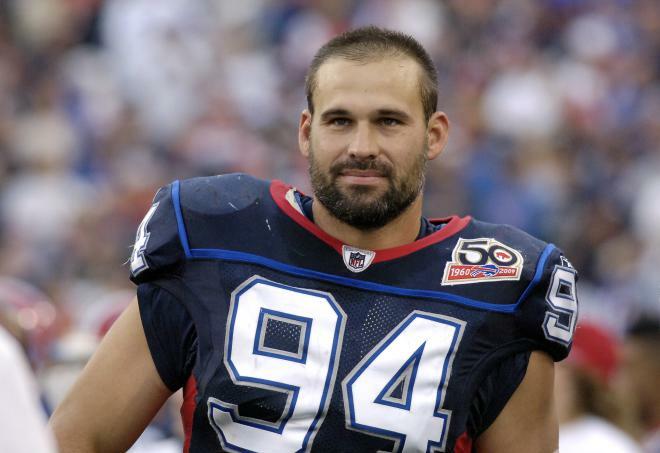 He was drafted by the Buffalo Bills in the second round (46th overall) of the 2001 NFL Draft and played his entire career for the Bills, retiring before the 2010 season. He played college football at Texas Christian University (TCU). 1 Ranks 58th on NFL All-Time Sacks list (78).